NEW! This add on reduces the need to get into any code, allowing you to amend the layout of the search results page by offering a range of out-of-the-box layouts, and making it easy to amend the search forms on your website with our drag-and-drop form builder. This add on allows you to customise the layout of the search results page, offering you multiple layouts to choose from. Whether you want the properties displayed in a linear list, or in a grid, it takes seconds to amend the layout. Once activated, you’ll get a new settings tab where you can control the layout, including the number of properties per row, wither you want a linear or card layout, as well as the ability to customise the auto-generated CSS. We used Property Hive on a site recently and so pleased with our choice to use it over similar plugins. The main reason for choosing it was because it was UK based and the add ons available enabled us to do things like send properties to Rightmove, that no other plugin does (that we could see anyway). As other reviews have said, the support was just fab, add ons impressive and it seems to be getting improved on a daily basis. Thanks guys! Definitely be using it on our next property site. 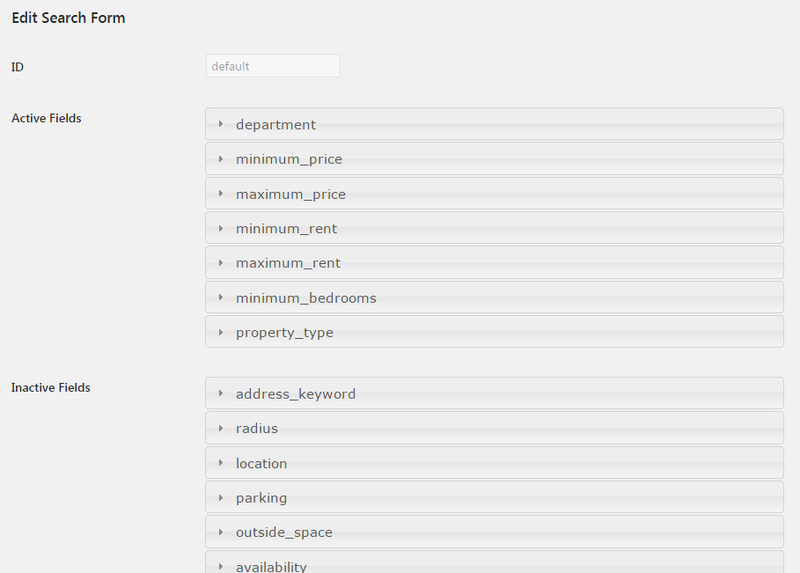 Our property search form builder allows you to configure the fields shown in the search form(s) on your website without the need to know any PHP. Simply add, remove fields, or drag and drop the fields into the desired order. You can also click each field to configure the individual options. Add custom fields to the property record and choose which section they should appear in. You can then display this information on your website.